If you have got an interview for the position of cleaner then you will need to be very thorough and understand the requirements of the job. 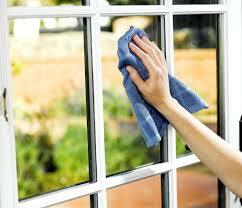 You could be cleaning for someone’s home or for an office environment, hospital, hotel or restaurant. There are numerous places that you could be working in but the key will be the list of cleaning duties that you need to get through in what timescale with what implications such as for an office you may need to clean early morning or late at night and for a hotel you will be restricted to when the hotel rooms are empty and before they are occupied again. Your interviewer will want to know what makes you a good cleaner and why do you think you are a good cleaner? What motivates you to ensure that a house or office etc is left clean and tidy and ready for re use? A Cleaner interview may sound not very complicated however if you just remember how many people are applying for that cleaning job then preparing for your big day will make sense. Are you ready to work next week? Have you done any cleaning before? What cleaning roles have you had? What you use to clean a toilet? In a bathroom or toilet what are the 3 most important cleaning duties? What cleaning products do you normally use? Do you use different products for different areas, pieces of furniture etc? What makes you a good cleaner? How much do you clean at home? What are your priorities? How would you split 20 offices between 4 staff in time or would you work together? How flexible are you if there was a need to change or increase hours? You will need to be self motivated to do this role and have a desire for things to be ordered and clean. You will need to pay great attention to detail and it would be wise to think of examples for your interview so that you can demonstrate this during your interview.